From the age of 4, Maria Toorpakai decided she would dress like a boy. A tomboy for as long as she can remember, she quickly realized she did not identify as a girl and one day, she burned all her dresses and cut her hair. Born in South Waziristan, a tribal region of Pakistan along the the border with Afghanistan, Maria and her siblings were raised by devoted and free-spirited parents. Her father, Shamsul Qayyum Wazir, stood out against the traditional patriarchal culture of the region for his liberal values and helped educate her mother, who now teaches in a local school. Supportive of his children’s unique passions, he nicknamed Maria “Genghis Khan” for all her energy. “I had a really free, fun life. But I was an aggressive child, and my father was worried about what to do with me,” she said. The family moved to the city of Peshawar, where there were more opportunities. Once settled in their new home, Shamsul encouraged Maria to channel her energy into sport. With Pakistan’s history of world class champions in the game, squash was a natural choice. Maria quickly had to learn how to navigate complex demands, on and off the courts. In a region where it is considered shameful to even send a girl to school, the idea of a girl playing sport was a serious taboo. 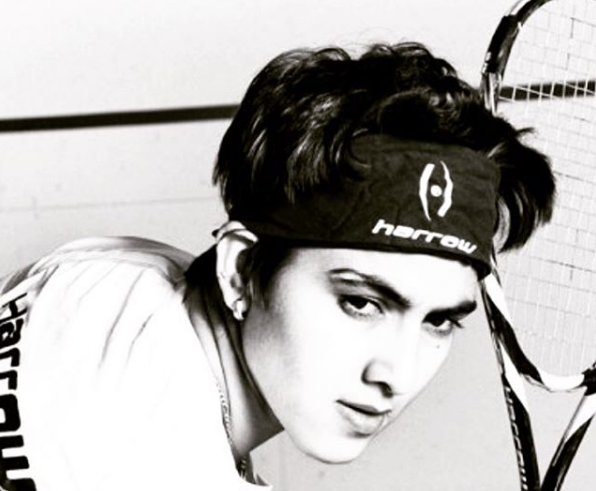 For a while, she was able to pass as a boy, but soon members of the squash community found out her true gender when she registered to join a team run by the Pakistani air force. Still, with the help of a supportive coach, Maria was able to conceal her identity so that she could compete in her class. After winning several junior and national championships, she turned professional in 2006. Although her rising success was reason to celebrate, hitting puberty at the same time brought its challenges. She could no longer disguise herself as a boy, and competing professionally meant she became more visible as a girl playing sport. Harassment came from inside and outside the sporting community. It’s both fascinating and moving to hear Maria speak of her experience of gender. Enjoying the freedom of life as a boy in her early years, she was shocked at the sudden burden of living female. Until she was 16 years old, Maria would travel on her own to squash tournaments disguised as a boy so that she would not attract condemnation from the community. When more people learned of her gender, everything changed. Yet this was not enough to placate those who believed a woman’s place was nowhere near the court. 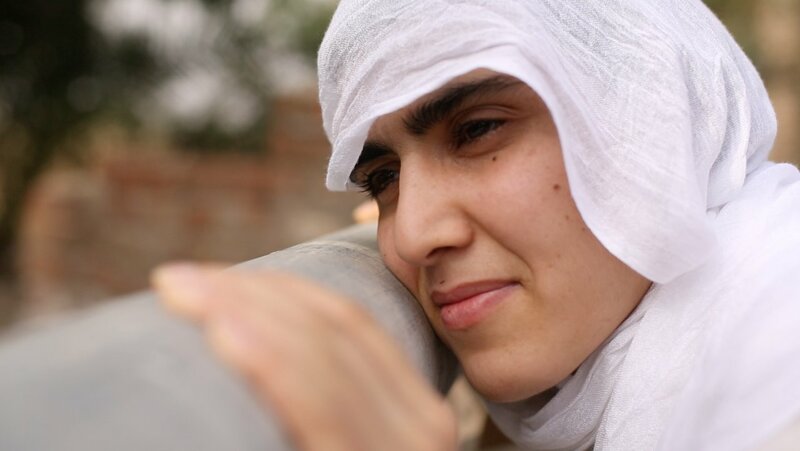 As she rose in recognition, the Taliban began to threaten her family with “dire consequences” if she did not end her sporting career immediately. They declared sport “un-Islamic and against tribal traditions” for women. Through all this, Maria’s family stood by her, and she was supported by the Pakistani squash federation who provided security at her matches. Her father has always encouraged his children to go their own way. Despite hostility from the community of South Waziristan, he encouraged her sister to embark on a career in politics, an equally scandalous move in the eyes of the Taliban. But as the threats continued, Maria felt it was unsafe for her competitors if she carried on playing squash. In 2007, she stopped training, only able to practice in secret by hitting the ball against her bedroom wall. Confined to her family home for fear of the consequences if she ventured further, she spent the next four years seeking a way to escape the country. She applied to sports clubs in the USA and Canada, looking for a route back into the game. After sending loads of emails and applications, she received a response from the legendary Canadian squash champion Jonathon Power. Captivated by her story and potential, he invited her to train with him in Canada and she was able to secure a visa. At the age of 20, she joined the National Squash Academy in Canada and relaunched her career. Now, Maria is ranked 89th in the world standings. Her remarkable story has been featured in the documentary, "Girl Unbound," a recipient of the Gucci Tribeca Documentary Fund with support from AOL Charitable Foundation. The film premiered in the UK at the 2017 Human Rights Watch Film Festival. GIRL UNBOUND: THE WAR TO BE HER_TRAILER from Brian Brinkman on Vimeo. Maria is determined that future generations of children in Pakistan do not face the same obstacles she encountered in simply trying to pursue her dreams. She was never able to attend school, and credits everything she knows to her parents and the people she encountered in her sporting career and travels. 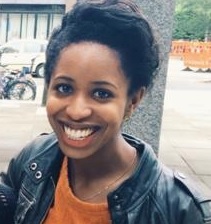 This unique experience has enabled her to reject the repressive religious or cultural codes that tried to suppress her freedom. Maria plans to settle in Pakistan to set up a hospital and a school with a sports facility, where kids will be free to be themselves. “At a young age, you think you can do everything,” she said. “ But [as] soon as you start growing up, with time, you hear boys cannot wear these kind of colours, girls cannot wear these kind of colours.” The frustration is visible in her eyes. Still, her story is a reminder that social expectations can be defied, and even conquered.